Fun, frollicks and funny walks were all to be seen this week at the Open Art Gallery Cafe’s Mad Tea Party. 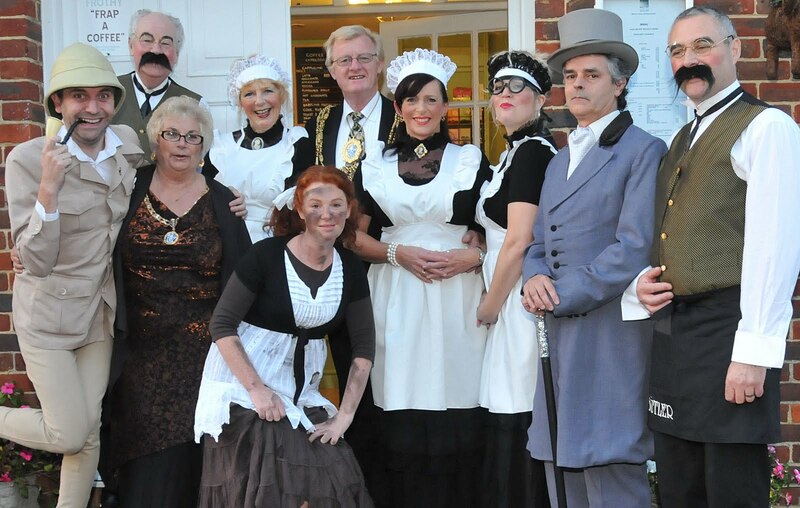 The tea party was attended by the Mayor and Mayoress of Brighton, Councillor Geoffrey and Mrs Sally Wells. There was a Bucks Fizz reception, cream teas and cucumber sandwiches. Everyone had a great time and the proceeds of the event were donated to Rockinghorse, the charity which provides invaluable support to sick children in Sussex and Surrey. That’s my sister, that is! Incredibly talented, and owner of the cafe! Rock On! Hope it was a huge success! Thank you so much for all of the hard work and effort that you put into this fantastic event! We hope you had a fantastic evening. Rockinghorse.